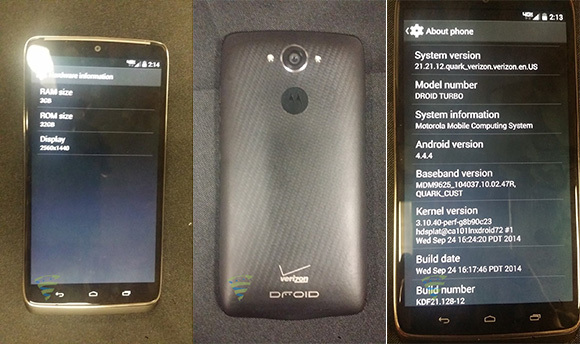 Motorola Droid Turbo for Verizon Wireless made yet another unscheduled appearance. This time around, the soon to be revealed Android powerhouse showed up in number of live photos. The leaked images showcase the upcoming device in black color scheme. The photos also confirm the handset's specs. Speaking of specs, they include 5.2-inch QHD (2,560 x 1,440 pixels) display, Qualcomm Snapdragon 805 chipset, 3GB of RAM, 32GB of storage, 21 MP rear camera with dual-LED flash, and huge 3,900 mAh battery. The handset will run Android 4.4.4 KitKat when it launches. 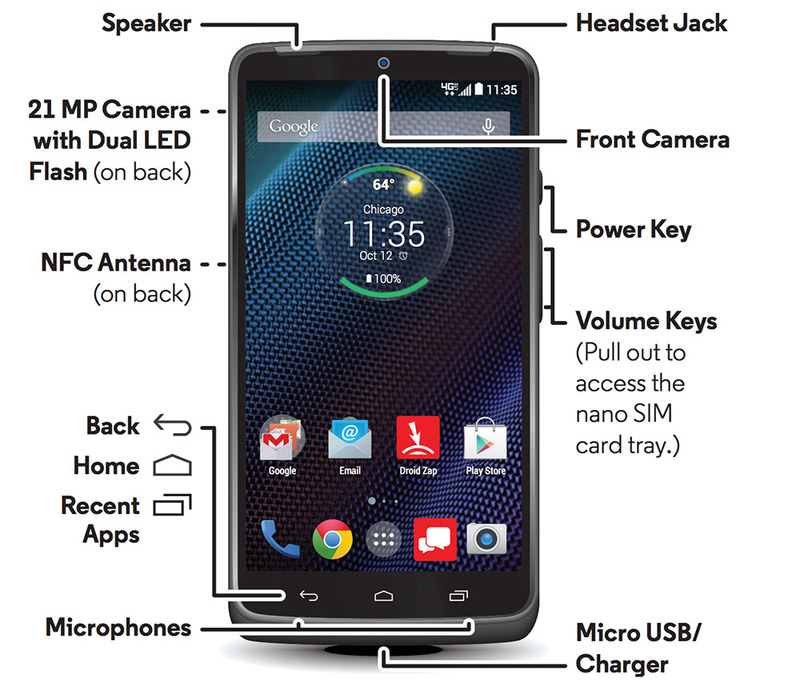 The new Motorola Droid Turbo garnered great interest but as a Verizon-exclusive it felt out of reach. Now Motorola is sending out invites for a November,5th event to announce a global rollout. 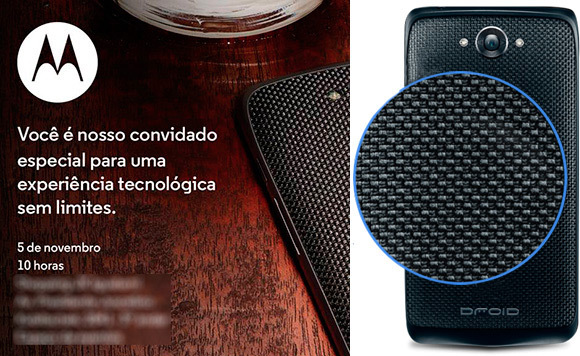 The invite doesn't call out the device by name but the corner of the back shows Droid Turbo's characteristic Ballistic Nylon back. Rumors are for a name change to "Moto Maxx", resurrecting the Maxx brand, which is associated with some of the most long-lasting batteries in the smartphone history. It's a fitting name too, the Droid Turbo packs a 3,900mAh battery, which can soak up 8 hours' worth of battery life in just 15 minutes thanks to the Turbo Charger. Other specs include one of the sharpest displays yet, a 5.2" QHD AMOLED, a Snapdragon 805 chipset and a 21MP/2160p camera. 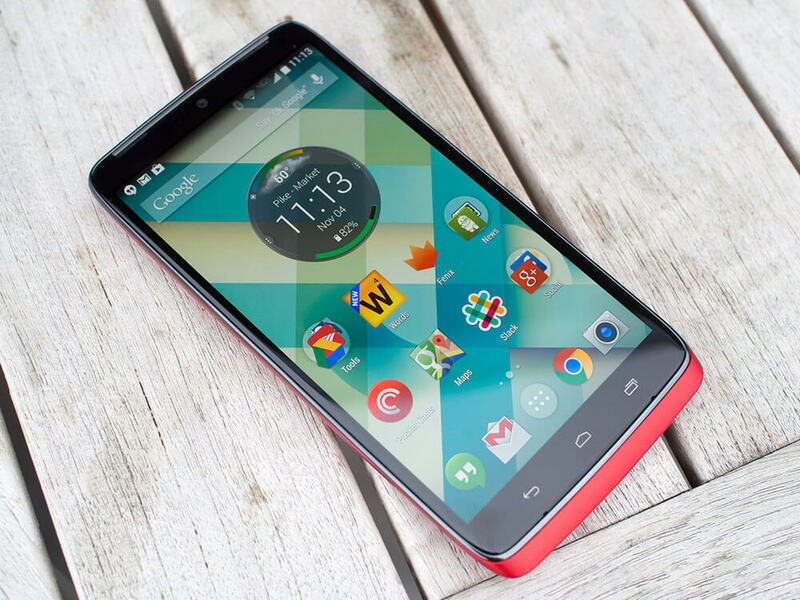 If you own a Motorola Droid Turbo and you are waiting for your Lollipop update ? You are in luck, Apparently the Droid Turbo will not get any build based on Android 5.0, but instead will be updated directly with Android 5.1 Lollipop which is currently the absolute latest version of Google's mobile OS. This probably means you still have some waiting to do until the new software will reach your handset, unfortunately. Google has just started rolling out Android 5.1 to its Nexus devices, and not even all of those have it yet. On the other hand, Motorola has been fast with updates lately, so perhaps it will move quickly with this one too. The reason for the jump from KitKat straight to Android 5.1 Lollipop apparently has to do with Verizon. The carrier "demands" VoLTE support baked into the Turbo's software, and Android 5.1 provides that natively. So for Motorola working on backporting this feature to the first Lollipop release, only to then have to switch to Android's native implementation with the 5.1 update would have been a big waste of resources. Hence, the decision to skip 5.0 altogether.